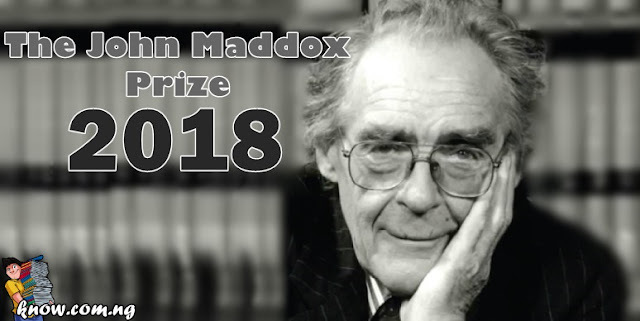 Nominations for the John Maddox Prize 2018 have started and you can be a part of it. The prize recognizes the work of individuals who promote Science (including social science) and evidence on a matter of public interest, facing difficulty or hostility in doing so. - Addressing misleading information about scientific issue (including social science and medicine). - Bringing sound evidence to bear in a public or policy debate. - Helping people to make sense of a complex scientific issue. Candidates must be nominated, however self-nomination is allowed in some cased. To find out more about the proice please visit the official page SenseAboutScience.org. The deadline for nominations is on the August 13, 2018. We wish you goodluck, please share!